A smooth "hi" to everybody here in the community! I am all new here so please understand if I might ask questions that sound familiar or are already widely knows. As christmas came by I decided to get the pope to buy me a 3D-Printer. So now as I started out I wanted first to design me a simple extruder-box to hold my extruders in place..
Said done: I took the basic measurements and added 1-3 mm to each side in order to compesate for any "human"-mistakes there might be. The print itself took some 28 hours (man was I curious..-->like Ren&Stimpy (who remembers)). I think I didn´t sleep well that night. And after dissolving the PVA (which caused some other problems, but that is another topic) I tried out the box only to find out that it was too small. There is a difference of 5-6% from my original drawing to the printout. I use Sketchup to draw the models and then I export them in ".stl". From there Cura 3.1 takes over and prints the box over LAN. I also looked at the datasheet. 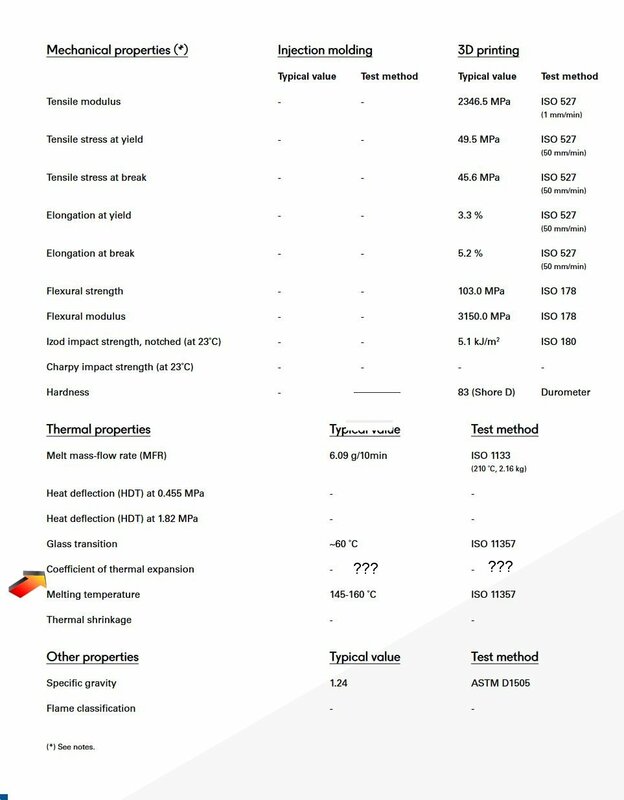 But I couldn´t find any information about the "thermal expansion" as this information would have helped me somehow. But how to know in first place? 1. Is there a known ratio, that has to be considered in order to print out exact copies from the original drafts? 3. 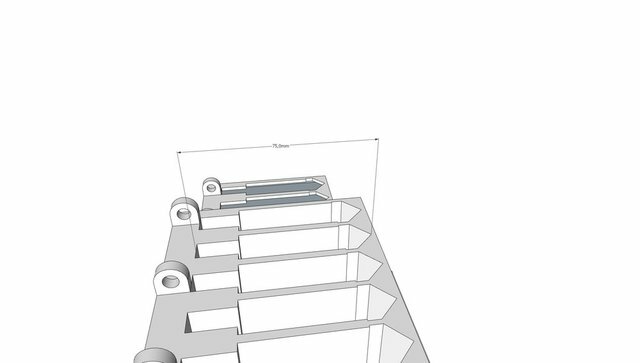 Is there maybe a "ratio"-Button in Cura hidden, that allows me to leave out further calculations for getting a 100% out of what I originally drafted. 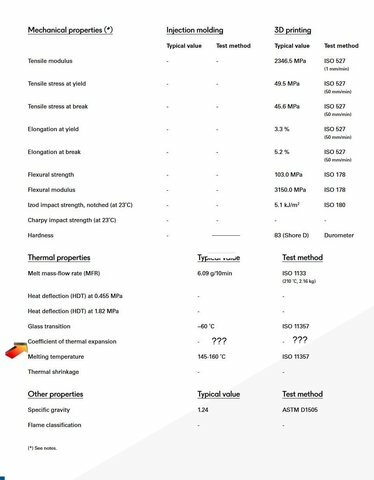 If there is a "ratio-table" for every material used maybe you could PM this to me that would be sooooo great! The best way to see is to do a test design. A plate with different holes and extruded forms with exact dimensions like ex. 1mm, 0.5mm etc,and print it. So the distance is 71mm rather than the expected 75mm? If so, this isn't due to plastic shrinkage, it's simply too much to be that. Like Gigi said, print something smaller and verify on that. Say a 20x20mm square and see how that goes. I would suspect some sort of scaling error during export from Sketchup or an accidental scaling you made in Cura. And just as a general piece of advice, if at all possible, try to avoid Sketchup. It's notorious for creating bad models that cause all kinds of problems. 4mm is a ridiculous error for the shape you are printing. You should be able to get to within 100 microns normally, certainly within 200 microns. Did you check the dimensions in Cura? 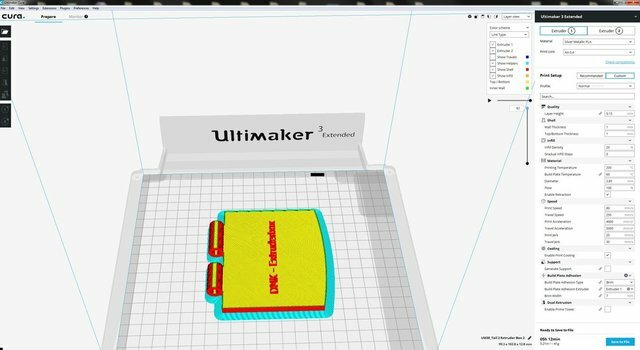 Sketch up was not the greatest thing since sliced bread - so double check it in Cura. I am wondering how it took 28 hours to print, given the size you are suggesting. What was your layer height, print speeds, extruder temp., expected model dims.? Looking the pic again and not having a set of callipers to hand, I would like to see the callipers held somewhat higher in the "hole" so just the tip is in contact with the V point. Are you sure you are taking an accurate measurement? thank you so much for your replies! Robert seems to be right about Sketchup. Since I have bought the 3D-Printer I used it to "design" some things for my private home prior to realising them (walls, windows, terrace... a grill-place outside), but that were other dimensions and as I researched prior that would also work for the printer... so I added an .stl export plug and export the drawings in mm and ASCI-Code. Maybe this has to be altered. There are other variables, like meter / inch (which would not make sense since I am using the metric system here and the objects I draw are relativly small to use meter as output units...) then there is something called "model units" --> would that improove the output data? As well there is a choice to choose between ASCII or BINARY output.. But at least I can use it. Hope this will not happen randomly. If any of you has another idear what to improove I will most appreciat that. @yellowshark : I used the preinstalled "normal" installation code from cura and the layer hight was 1.5. I didn´t tweek anything because that is something that will come with time (only one thing now as I continues i lowered a bit the temp for PVA and the fan speed I turned completely off, because for me that solved the issue of too much errors in printing the dissolvable aids)..
Have a nice time comming into 2018! Hi @Harry Plotter, I have no idea if it makes any difference but we export our STLs in Binary format from Solidworks - almost certainly too expensive for your requirements. 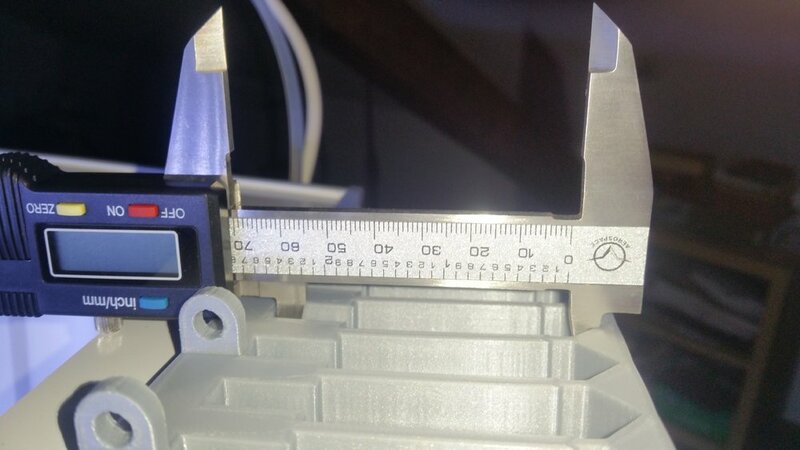 I assume/hope your layer height is 0.15mm not 1.5mm! As @IRobertI said, print a simple cube and let us know what the dims. are like (probably best to download one from Thingiverse or the Ultimaker equivalent). What filament type are you using? From time immemorial the advice has always been to use fans with PLA (which I am guessing you are using); I have no idea whether that would really cause your size of error. Best if you print two cubes, one with fan on and one with fan off, otherwise we will be comparing apples and pears. As for "Solidworks" you are right. 6-8K are blowing my budget for playing around at home... but maby with time there will come another solution to this question. For now it is only this bug which is probably Sketchup not exporting it right. But the next think I will check is if I can read the sizes out of the G-Code so this would be a nice thing to control about. Next thing I will do is to change the export from ASCII to Binary and see what happens. So far my other prints all were in perfect match to size and shape. Maybe this was just a first use problem so far but waiting aprox 28 hours to find out that dimensions are off limits is kind of hard..
PS: The fan is alwas on with PLA. I just turned it off with PVA as this turns out to get me better results... I added a foto so you see the main settings at the right side of CURA..
ASCII/binary shouldn't make a difference as far as the actual model is concerned. It's just how the file is written. Binary is much more compact so it saves on disk space. And waiting 28 hours is indeed a bit much. That's why I usually cut out a small chunk of a model where I'm wondering if my measurements are ok or not. For example I might want to insert something into the print, so I cut out just that hole and print that to test. As for CAD software. There's tons out there. Some free good ones off the top of my head are Fusion 360, Onshape and Designspark Mechanical. Fusion is probably the "safest" bet right now as it's become massively popular.